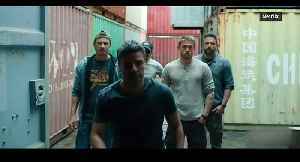 Check out the official trailer 2 for the Netflix movie Triple Frontier starring Ben Affleck, Oscar Isaac, Charlie Hunnam, Garrett Hedlund and Pedro Pascal! 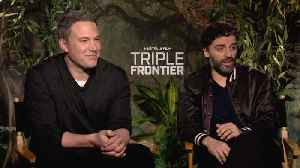 Release Date: March 13, 2019 on Netflix Triple Frontier is an upcoming American adventure crime-drama film directed by J.
Chandor, with a screenplay by Chandor and Mark Boal. The film stars Ben Affleck, Oscar Isaac, Charlie Hunnam, Garrett Hedlund, and Pedro Pascal. 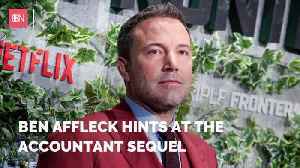 Ben Affleck is coming back with more movies in the works. Garrett Hedlund stopped by Newsweek to discuss Netflix action filmGarrett Hedlund stopped by Newsweek to discuss Netflix action film "Triple Frontier" and the meaning behind the Airborne cadence his..
Netflix's Triple Frontier stars Ben Affleck and Charlie Hunnam discuss heist roles and Premier League football. Report by Nathoom. Like us on Facebook at http://www.facebook.com/itn and follow us on..
Charlie Hunnam and Garrett Hedlund open up about their new Netflix action-thriller “Triple Frontier”, about a South American heist that also stars Ben Affleck. 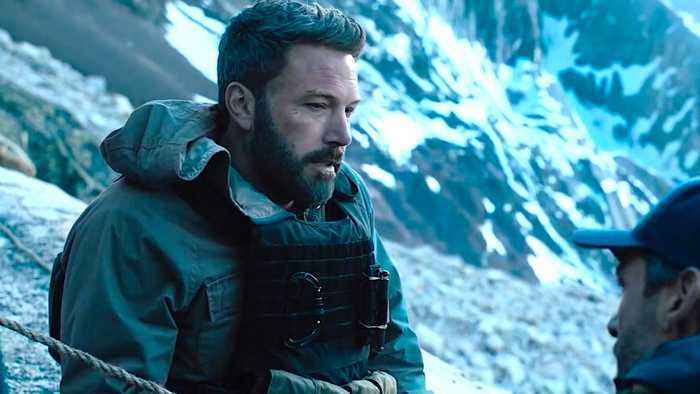 PLUS: Ben Affleck reveals how real special forces personnel whipped the cast into shape. Dazed and Confused (1993) - Official Trailer - Jason London, Ben Affleck, Milla Jovovich, Cole Hauser, Parker Posey, Adam Goldberg, Joey Lauren Adams, Matthew McConaughey, Nicky Katt, Rory Cochrane.. 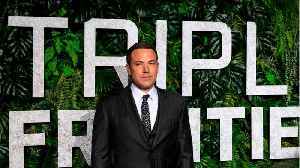 Starring in the new Netflix movie “Triple Frontier”, Ben Affleck addresses his struggle with sobriety as he praises his ex-wife Jennifer Garner for keeping their family strong.